The following is a partial roster of the Auxiliary Cruiser ST. LOUIS. The names, unless otherwise noted, are men who were crewmen aboard the oceanliner before she was pressed into service as an auxiliary cruiser and who decided to stay aboard as crewmen during her wartime service. They were mustered in as naval personnel. 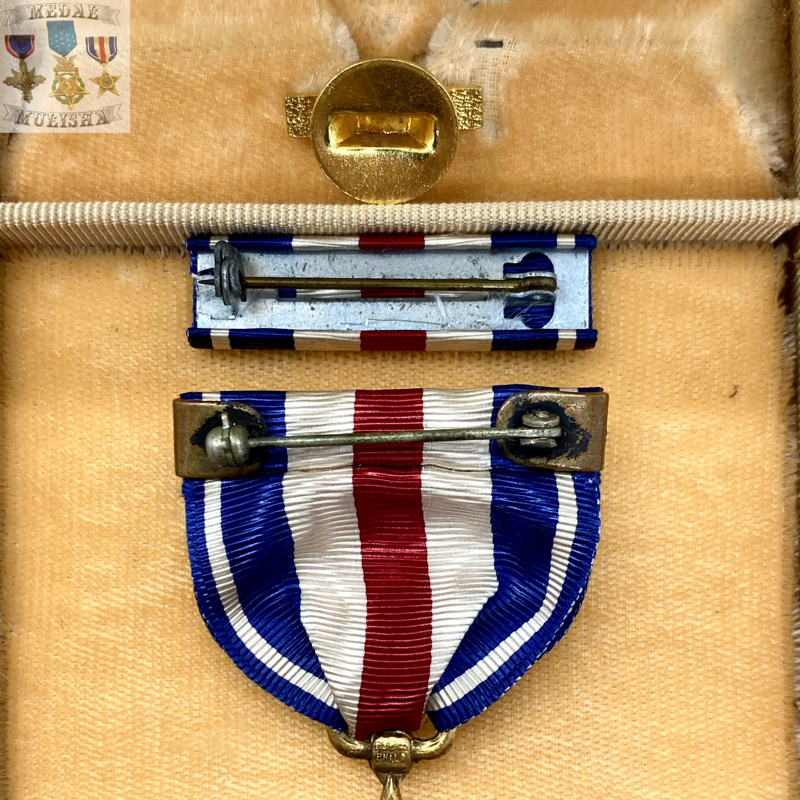 Following names are the known naval ranks given these personnel, and their original rank in civilian service aboard the ship in the following format: (Naval Rank/Civilian Rank). ​S.S. 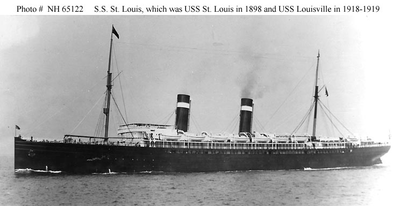 Saint Louis (American Passenger Liner, 1895). 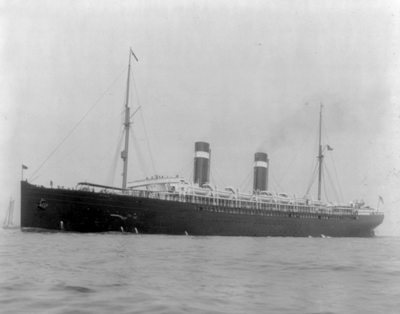 SS St. Louis, was a transatlantic passenger liner built by the William Cramp & Sons Building & Engine Company, Philadelphia and was launched on 12 November 1894; sponsored by Mrs. Grover Cleveland, wife of the President of the United States; and entered merchant service in 1895, under United States registry for the International Navigation Co., of New York with her maiden voyage between New York and Southampton, England. She was acquired by the United States Navy during the Spanish–American War and commissioned under the name USS St. Louis in 1898, and again during World War I under the name USS Louisville (ID-1644) from 1918 to 1919. After she reverted to her original name in 1919, she burned in 1920 while undergoing a refit. 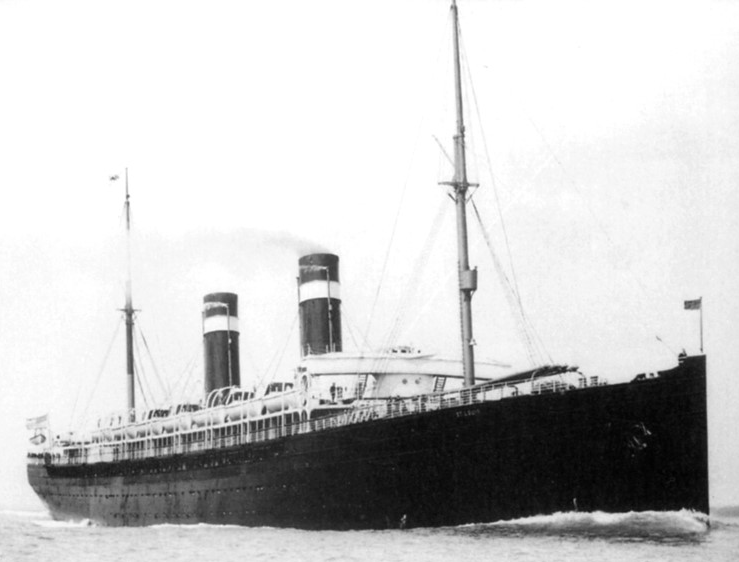 St. Louis was scrapped in 1924 in Genoa.